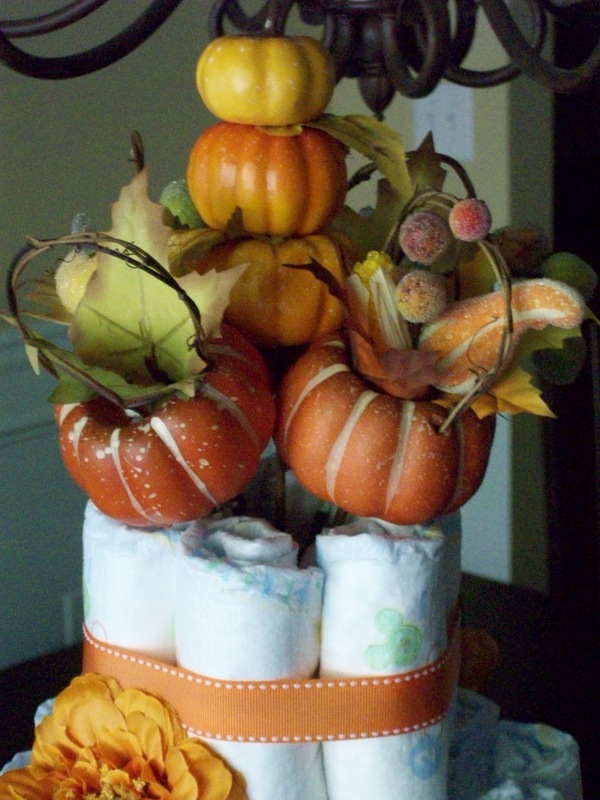 I have received so many great comments about the picture of the diaper cake that I posted in my Baby Pumpkins & Cupcakes post. 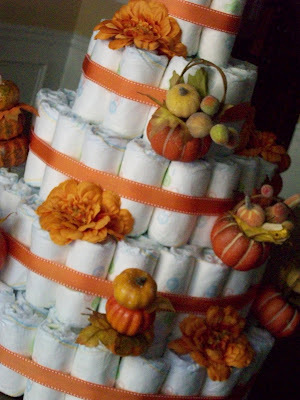 I have to say that the making of the diaper cake was my favorite part of the whole baby shower planning process. I love creating things for other people and imagining what their reactions will be when they see them. 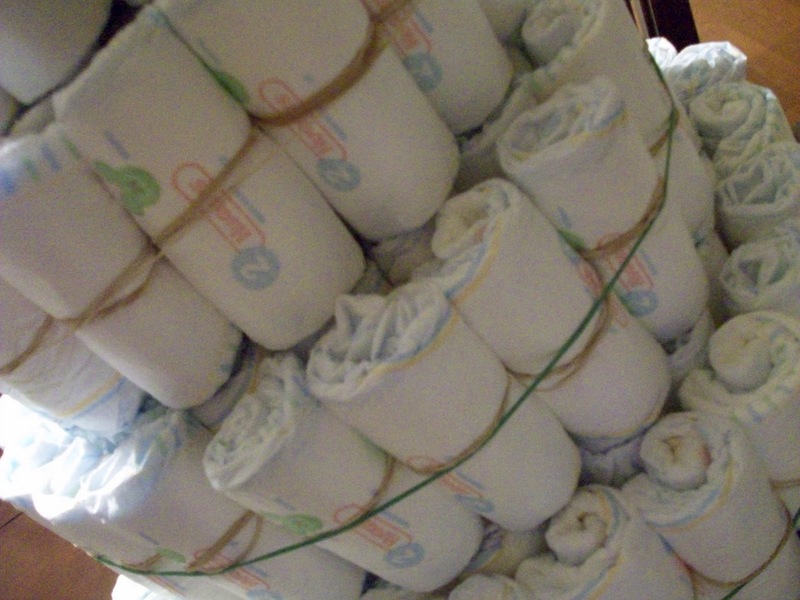 I know that we are all busy these days, but there is nothing more personal than a homemade gift that you put your heart and your time into making. I saw a diaper cake at a baby shower a few years ago. 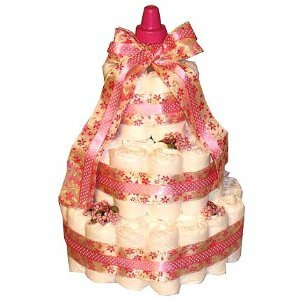 The host of the shower purchased the cake on the web. 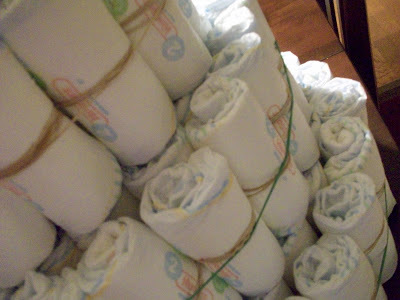 They looked so easy to make, so I immediately went home to do some You Tubing. 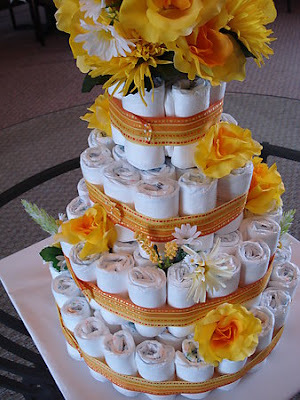 I found that their are so many different ways to make them and decorate them. 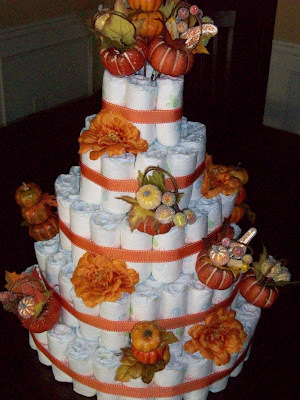 You can decorate them with baby items or you can make them look like a wedding cake- which is actually my preference. 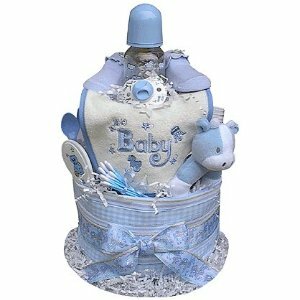 Here are a few cakes that are made by the Baby Gift Idea. The cakes take about 3-5 hours to make, depending on the size. The reactions from my friends are worth every second! I would love to make them for you or anyone else you know! Just message me!